Believe it, this is real. Marvel's adorable yet slightly unhinged superhero(?) 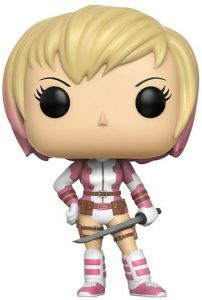 gets stylized with the Funko Pop Gwenpool release. The initial set features three figures including a pair of retail-specific exclusives. Gwen Poole made her first appearance in Howard the Duck Vol. 6 issue #1, in 2016. Shortly thereafter, Gwen, not to be confused with Gwen Stacy of Spider-Man fame, received a one-shot release with the Gwenpool Holiday Special before her solo series The Unbelievable Gwenpool. 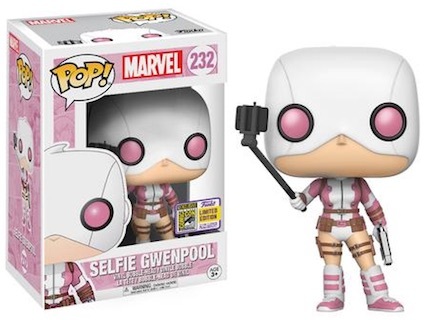 Although Gwen's suit resembles Deadpool, she, in fact, has no direct affiliation with the Merc with a Mouth. 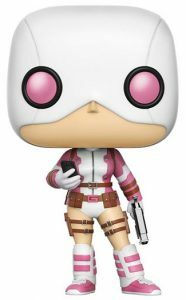 Standing approximately 3 3/4" tall, the Funko Pop Gwenpool figures offer collectors a trio of options. 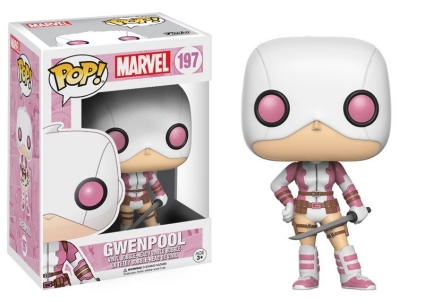 While each vinyl figure is posed with Gwenpool wearing her signature pink and white suit, fans can find the main masked Gwen wielding a katana with her hand on her hip. Another masked version holding a pistol in one hand and her cell phone in the other is exclusive to Toys R Us outlets. 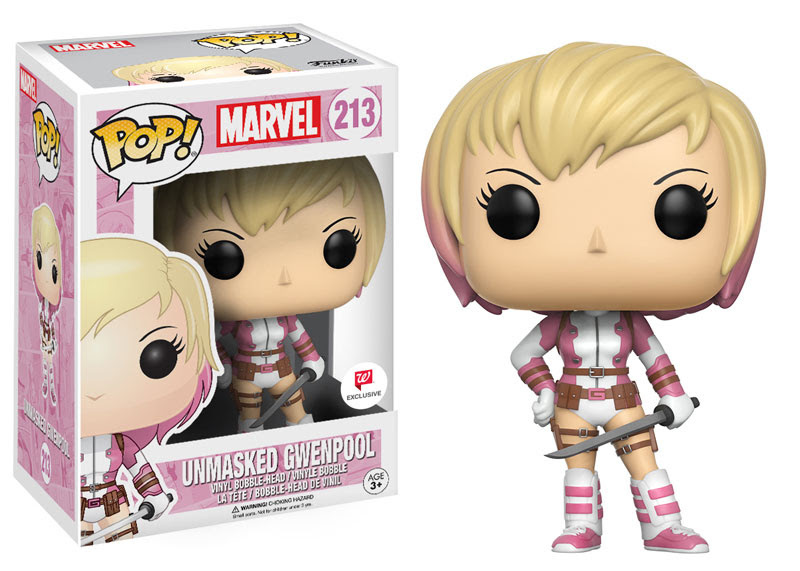 Lastly, the Unmasked Gwenpool, which is issued through Walgreens, features her cropped hair with pink tips. Numbered as part of Pop! 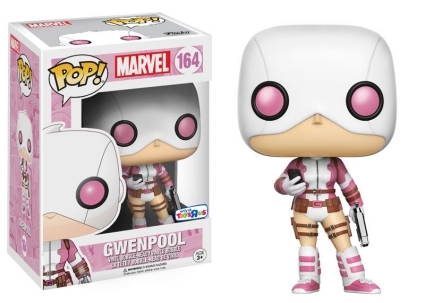 Marvel, the Funko Pop Gwenpool line has large gaps in the checklist between each figure.